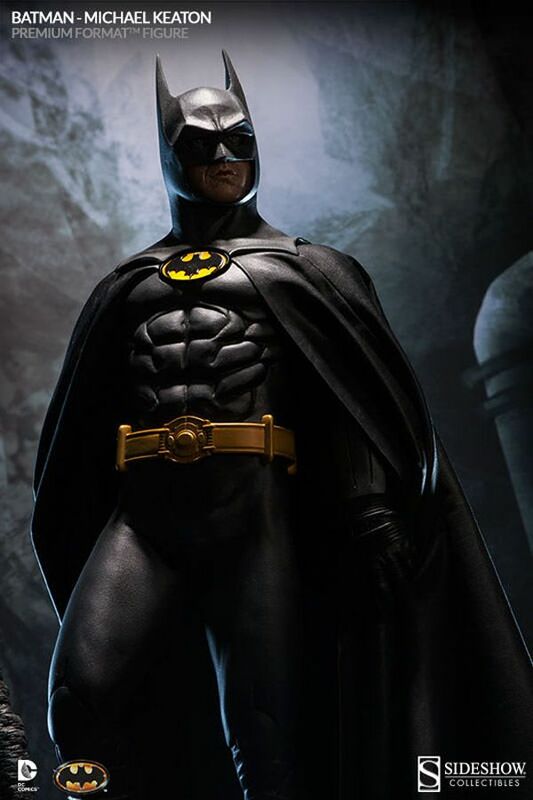 From the film that redefined Batman for a new generation, Sideshow Collectibles is proud to present the Michael Keaton 1989 Batman Premium Format™ Figure. 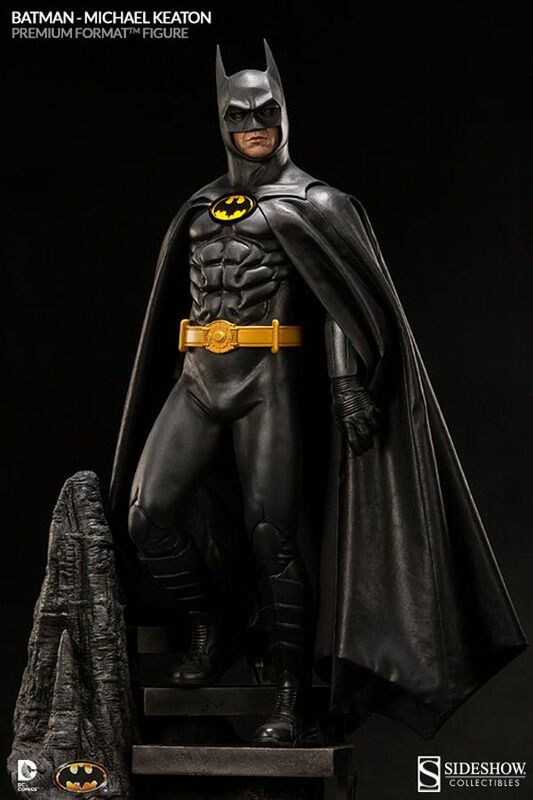 Crafted in 1:4 scale, this dynamic statue captures actor Michael Keaton’s quintessential portrayal of Batman with a stunning portrait likeness. 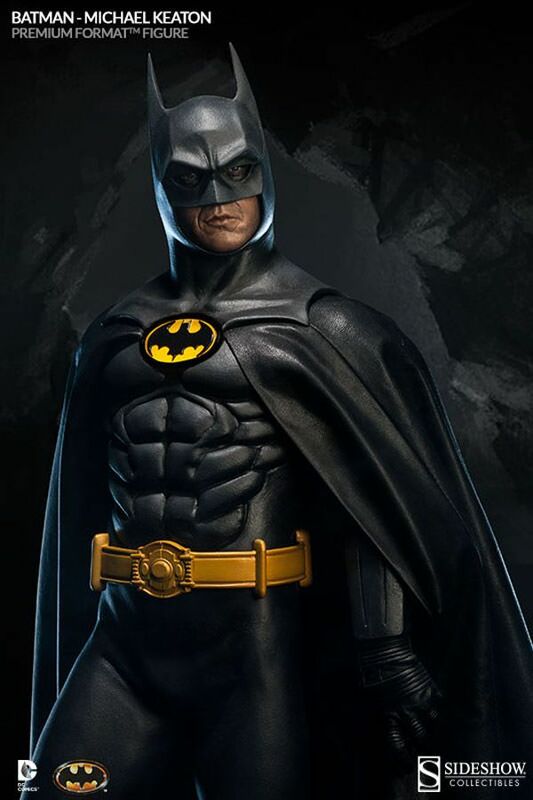 He is fitted in a screen-accurate sculpted replica of the iconic costume, featuring the yellow oval bat emblem, utility belt and fabric cape. 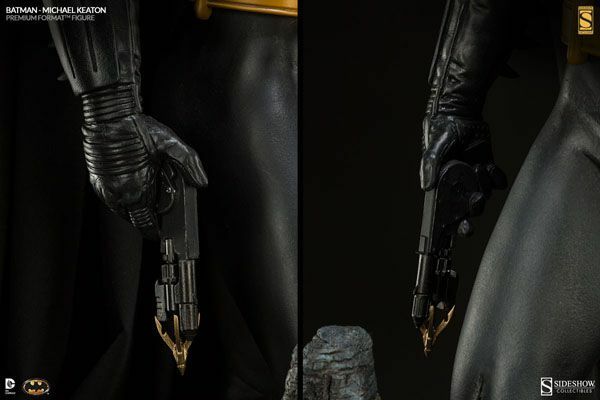 The Sideshow Exclusive edition will include an additional swap out hand with Batman’s grapple gun (shown below), an accessory which notably made it’s first appearance in the 1989 film, before it was later adapted into the comics. 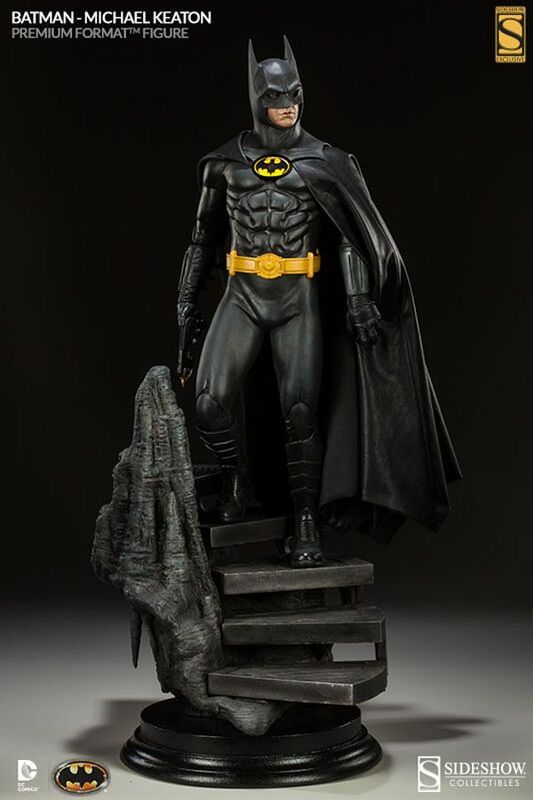 The regular and Exclusive editions of the Michael Keaton 1989 Film Version Batman Premium Format™ Figure will each be priced at $399.99, with flexible payment plan options available. 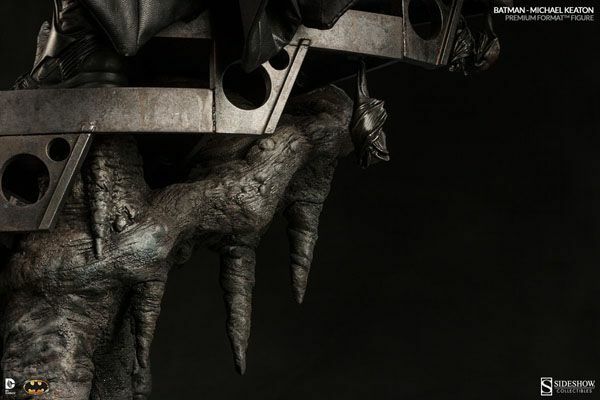 Pre-orders will begin on January 23rd, when we shine the signal in our weekly Sideshow Newsletter. 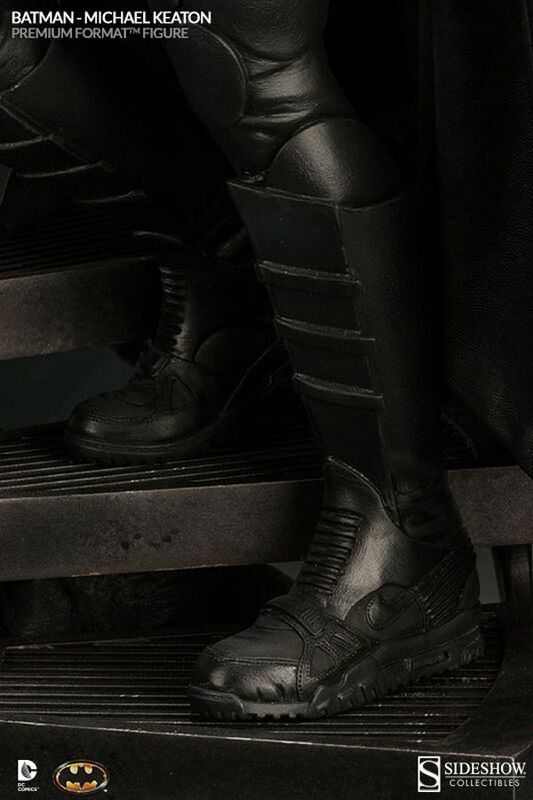 I will be there on pre-order day... Will you? This is a very impressive statue. 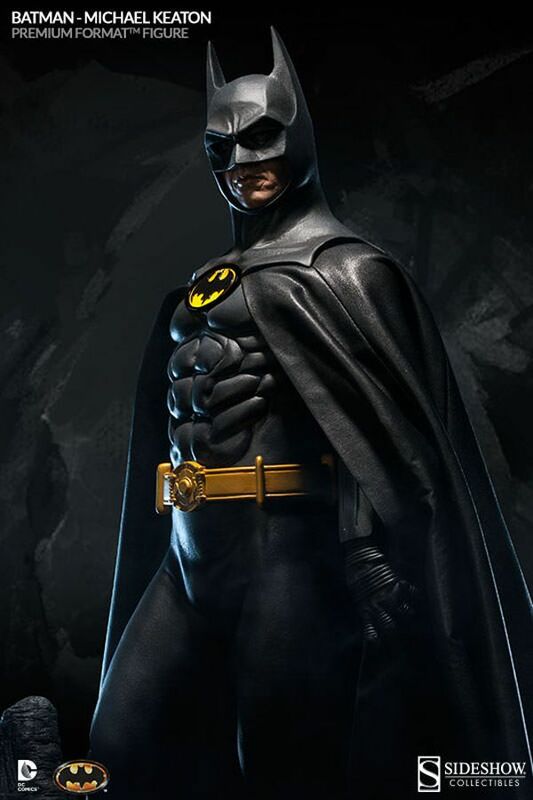 Great review, though I think the mouth is still not like Keaton's, but a nice figure nonetheless. Love the site, think it has a look that evokes the '89 movie and it's nice to find somewhere that fans can share their passion for it. Still the best after 25 years! 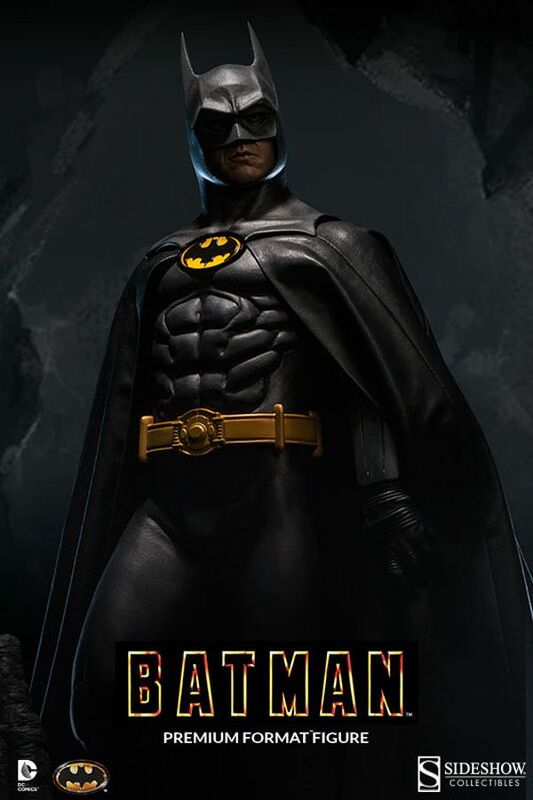 Much better than many that followed, eh Joel Schumacher? !